We all have quirks. Some are certifiable grade quirks. Some are just slightly odd. -I always eat two M&M's at the same time. And generally I eat pairs of the same color first. -I rarely start a book at the beginning. I read the last few pages to make sure it has a decent ending, and then decide if it is worth my time. -I also will scan through a book following a character or circumstance. And then I finish reading through the book page by page. -I hum to myself. When I am driving and biking. Even when I am with other people. -I didn't wear red nail polish for many years. It reminded me of a photo I saw of the Hindu goddess Shiva (or something). Her finger and toe nails were painted blood red. It had something to do with human sacrifice. -When I shop for clothes, my eye is always drawn towards anything coral. I am not sure if it is because it looks good on me, or because I like the fall color palette. Regardless, I have to remind myself that it really isn't necessary to own 3 or 4 coral colored dresses. -I talk to myself. It is the only way to be sure I am connecting with someone at my own intellectual level. -I hold internal debates (with myself) over whether to cut and display my garden flowers (and thus shorten their life span) or leave them in the garden. 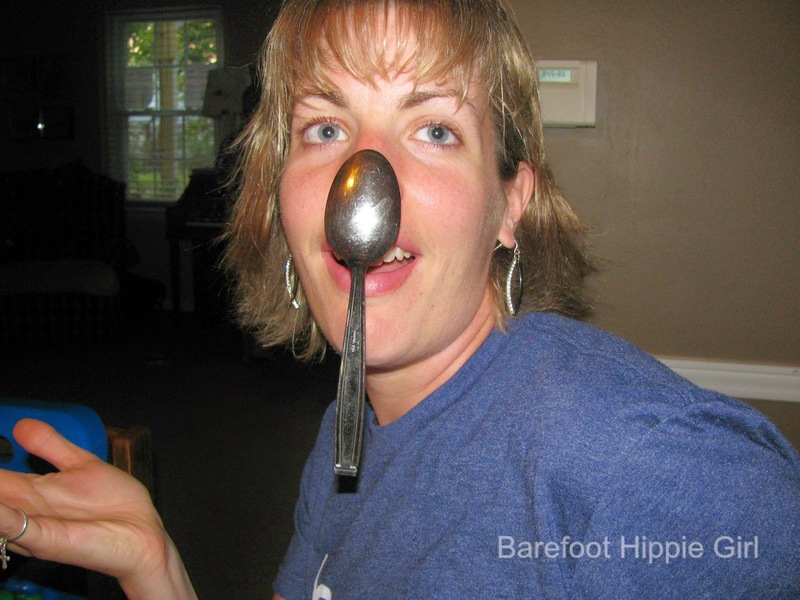 -I can hang a spoon on my nose. -Looking for hotels seriously stresses me out. Every time. The brands, the price, the location, the availability. -I had my first grey hair when I was 18. Now my eyebrows are turning grey too. -I love reading pulp fiction aka fluff & stuff. I try to space it out on occasion with a biography or poetry or a business book. -I'd much rather wear a short-ish skirt than shorts. I don't like the way my legs look in shorts? -I say sump-theen instead of something. I do. -My eyes twitch when I have too much caffeine. It's cumulative.